Refunds: Please see Refund Policy. Refund option only prior to July 14th at 5:00pm; after this time no refunds or transfers will be issued. 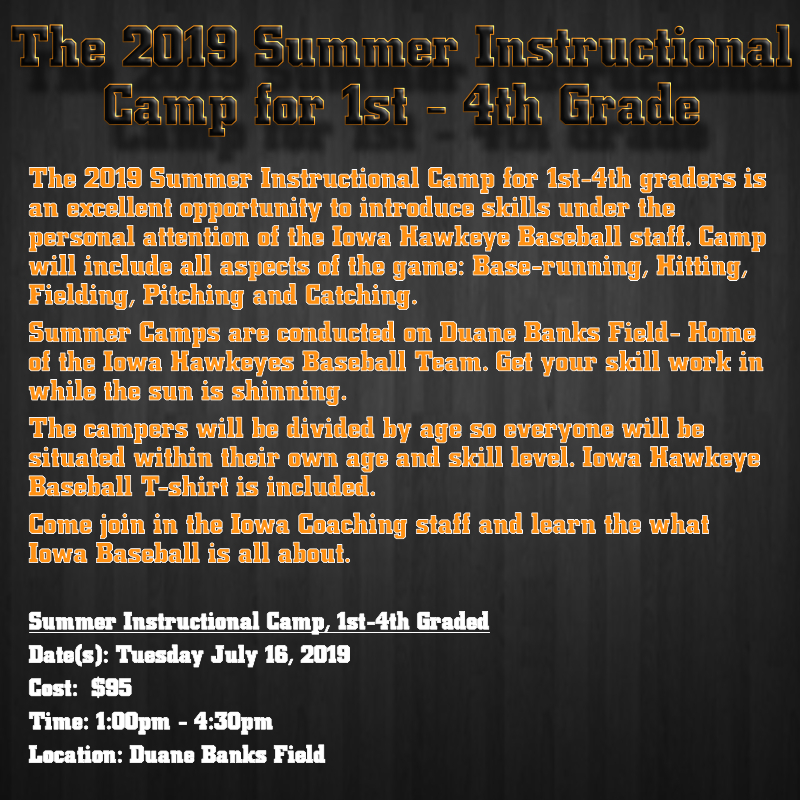 Check out this Baseball camp '2019 Summer Instructional Camp 1st-4th Grade' with Iowa Baseball Camps!